Inspiration for ribbon and trims! 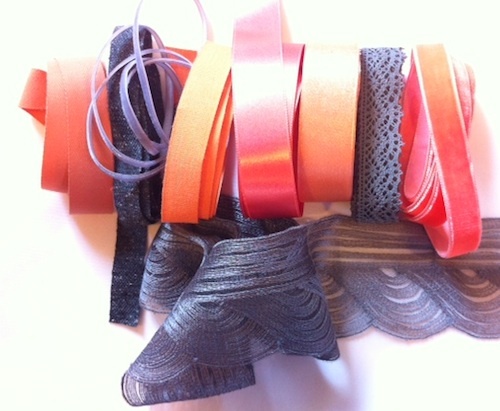 Loving this Coral and Gray Color Palette Elisha has selected. The different textures make her choice come alive! These colors go together so well…I love your collection and choices. Whether you are sewing, scrapping or wrapping, our fine ribbons will add a special touch to your latest project. March is the Month to think about Green!